Quartz & Chalcedony are formed of silica, the most common mineral in the earth's crust. Such specimens of quartz in the form of agate, jasper crystalline quartz and petrified wood yield many attractive lapidary materials & semi-precious gemstones that are sought by rock hounds worldwide. 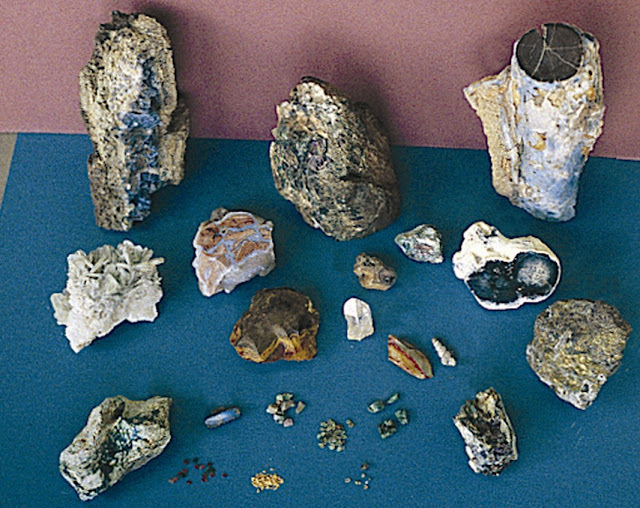 Prospecting for good lapidary material in Arizona almost always leads to the gold and silver districts in the State. So, learn a little about gold and silver and you may find some nice chalcedony, quartz and even a little opal to polish. And if you decide that you love the quartz and the gold is not all that exciting - send your gold specimens to me for keepsake. In some gold districts in Arizona, gold is associated with detachment faults. So, where you find detachment faults in Arizona, you may find old gold and silver mines and some interesting quartz veins. 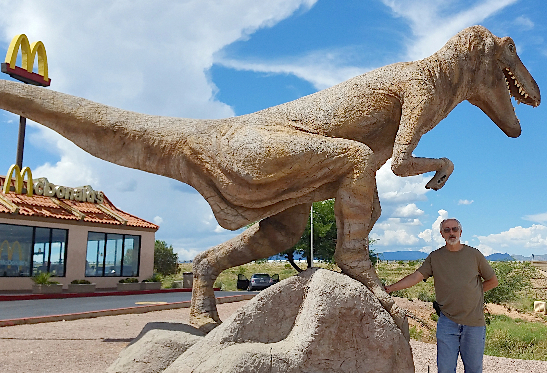 Not too long ago, I spent a few days looking in the Pearce district in southeastern Arizona and published two articles about this area - you will want to get copies of those papers before spending any time in the area (see Hausel, . Wow - just wow! What a place to explore. This place (which I cover extensively in my book on Gold Deposits in Arizona [in preparation]) is filled with great mineral deposits - significant silver and gold, disseminated gold, and then there is even some old copper and turquoise deposits and some opalized quartz. If only I had a mining company, I would pick up this entire district from Courtland Arizona to Pearce to Gleeson. Wow, this place is a hall of fame of gold, silver and copper deposits awaiting to be properly mined. In this area, like many gold and silver districts in the Basin and Range and Transition zone of Arizona, there often occurs quartz veins that may be partially opalized, some may occur as banded quartz known as ginguro bands, and others may have prismatic quartz and even some amethyst. It is a rock hound's paradise - but keep your firearms handy as you may not only find some great rock specimens, but you may also see a few illegals and drug runners as well as a few other snakes in these areas. Then there is the occasional ghost in the nearby towns. Check these articles out for more information on this great gold and silver mining district. Hausel, W. D., 2013, The Pearce Mineralized Area, Dragoon Mountains, Arizona (Part 2): Prospecting & Mining Journal, v. 82, no. 12. And you can find more on my bibliography listed at the GemHunter and at Wiki and Wyoming authors. Quartz stockworks in Pearce rhyolite. More ginguro bands in quartz in rhyolite breccia near the Commonwealth mine, Pearce Arizona. A $2.4 billion gold deposit overlooks Wyoming's State Capital, within a stone's throw of the Interstate. South Pass gold district - prospecting from the air. Gold and Diamonds in the Douglas Creek gold district, Wyoming.